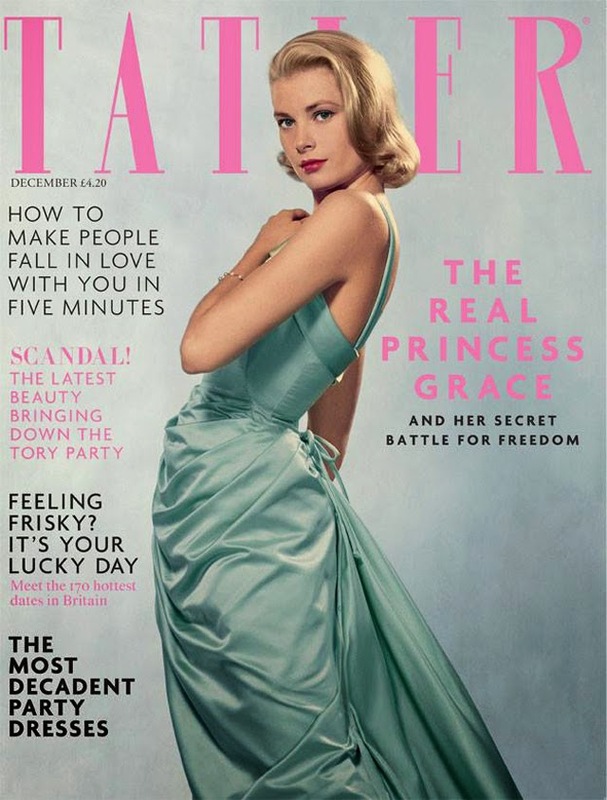 Can't you just hear our parents saying, "they don't make 'em like Grace Kelly anymore," as they lay eyes on Tatler's December 2013 cover. While we often like to shoot down such comments from a wise generation, we have to admit we'd agree with them after laying eyes on Grace Kelly in this beautiful mint green ensemble. The manners, the class, the elegance that is all showcased simply in the way that Grace stands is something that is rarely replicated with today's models.